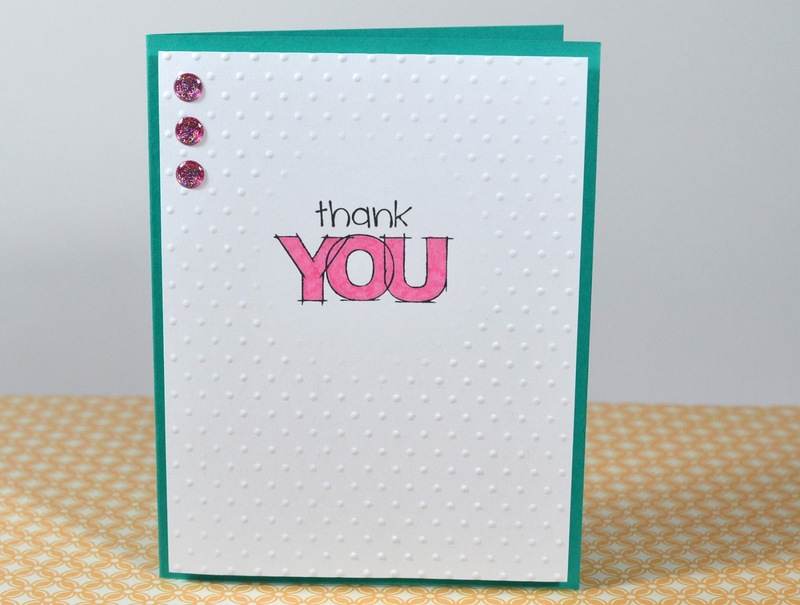 As you can see, the area around the "thank you" sentiment doesn't have any embossing. This is a great alternative to embossing a full background and stamping a sentiment on a separate punched out shape. The embossing folder I used is Swiss Dots from Cuttlebug. 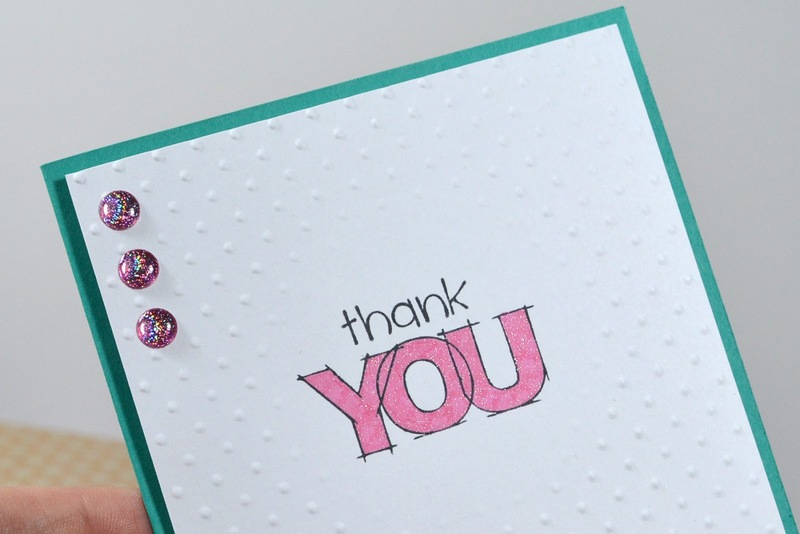 I colored in my "thank you" (Close To My Heart M1029) with a pink Wink of Stella glitter marker (not the brush tip). I love the sparkle it gives to the card. To match, I pulled some sparkly dots I've had for years out of my stash and added them to the top of the card. These are made by EK Success. They look a bit like sparkly enamel dots in person. 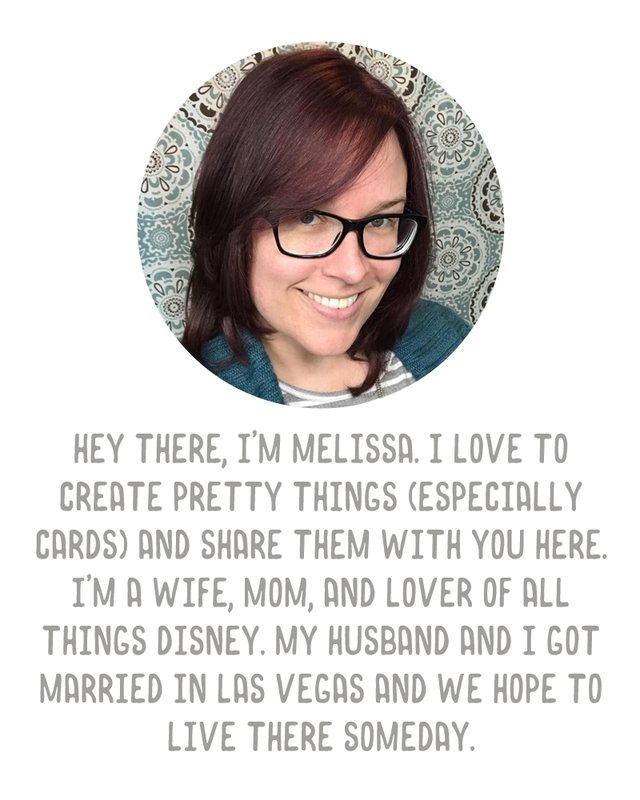 Then I just added the panel to a card base made from Stampin' Up! 's Bermuda Bay card stock. (Such a pretty color! ).